The Face Shield features a high-quality 3M Filtrete hydrophobic filter with CPR instructions printed on it, and gives providers the confidence to begin CPR. The small packaging fits into wallets, pockets and hand bags for readiness whenever an emergency should occur. 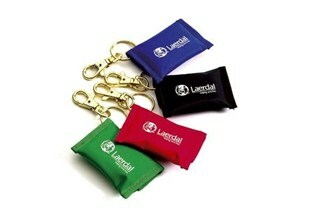 The Laerdal Face Shield comes packaged in either key chain form or disposable sleeves and is sold in packs of 50. 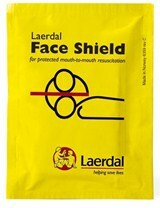 The Laerdal Face Shield is the simple, low- cost solution for CPR Barrier devices. The protective Face Shield helps providers overcome hesitation to start resuscitation by preventing direct contact with the victim’s mouth, nose and face.